You know, recently we had a friend who started eating breakfast after years of avoiding it. An herbalist recommended this change and our friend shared that the changes are evident. They have greater clarity in the morning and their energy lasts throughout the day as their body is being fueled with healthy nutrition from morning until evening. As we thought about this in preparation for this week’s blog post we decided to share a fabulous recipe that would make almost anyone want to start eating breakfast. Although we don’t recommend eating muffins made with sugar on a regular basis, every once in a while it is a great treat. This recipe not only made our mouths water, but we like the fact that it included a protein, carb and fruit portion that is needed to help start the day right. 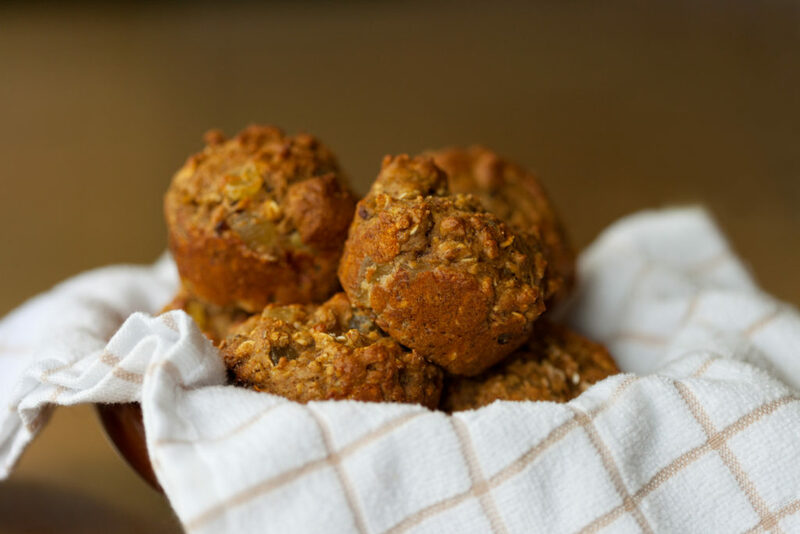 Not to mention the muffins are made with extra virgin olive oil, another healthy addition that aids digestion, as well as offers a myriad of other health benefits. Preheat oven to 425°F. Line 12 (1/2-cup) muffin cups with paper liners or coat with cooking spray. Thoroughly combine goat cheese, honey, lemon zest and 1/4-teaspoon vanilla in a small bowl. Set aside. Whisk flour, baking powder, baking soda and salt in a large bowl. Lightly beat eggs and egg white in a medium bowl; add brown sugar and the remaining 1-teaspoon vanilla and whisk until the sugar is dissolved, about 1 minute. Gradually whisk in buttermilk and oil until smooth. Add the wet ingredients to the dry ingredients and stir until just combined; do not over mix. Fold in figs. Spoon half the batter into the prepared muffin cups. Add 1 generous teaspoon of the reserved cheese filling to the center of each muffin, and cover with the remaining batter. (The filling should not be visible.) Sprinkle the muffins with sugar. Bake the muffins until the edges start to brown and the tops spring back when gently pressed, 13 to 15 minutes. Let cool in the pan for 5 minutes before turning out onto a wire rack to cool. Are you looking for olive oil recipe recommendations, news and updates on My Olive Tree specials, or just curious about the work we are doing in Israel and beyond… our blog is a great place to stay informed. If you have yet to try our My Olive Tree, Extra Virgin Olive Oil don’t miss this opportunity… try this excellent oil with it’s light and delicate flavor.